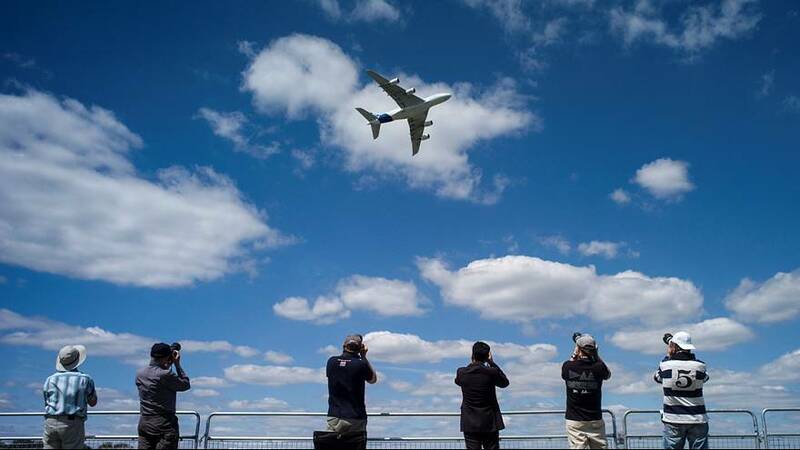 Day one of the Farnborough Airshow brought a boost for Boeing as outgoing British Prime Minister David Cameron announced the purchase of nine of its P-8A Poseidon marine patrol planes as well as 50 Apache AH-64E attack helicopters. Against the background of Brexit, Cameron made much of how the purchase of the Poseidon submarine hunters – for the equivalent of 3.5 billion euros – will create about 2,000 new jobs in the UK as Boeing expands its maintenance and support operations there. As Farnborough started both Boeing and Airbus raised their long-term forecasts for new aircraft demand and the European plane maker said Virgin Atlantic had ordered a dozen its biggest twin-engined plane, the A350-1000, despite the uncertainty from Brexit and the weak pound that has created. The heavy rain that grounded the air displays, could be seen as a metaphor for the political and economic storm clouds over the UK and Europe but Airbus and Boeing remain confident about long-term sales prospects. They have enjoyed years of strong sales, with rising air travel and demand for new fuel-efficient planes raising the industry’s order backlog to a record 13,500 planes at the end of 2015, or near 10 years of production at current rates.